The U.S. Ordnance M48 Fixed (Turret Type) is a link-belt fed, recoil-operated, air-cooled, crew-served machine gun. It can fire automatic only. Ammunition may be fed from either the left or the right side of the gun, making it suitable for use in armored vehicles. The M48 machine gun is used extensively on the M1, M1A1 or M1A2 Abrams main battle tank commander’s stations and coaxial mounted on various Armored Fighting Vehicles (AFV) used by the United States and most NATO countries. In service with the U.S. military and the armed forces of more than 23 nations, the M48 is the world standard in heavy machine guns. U.S. 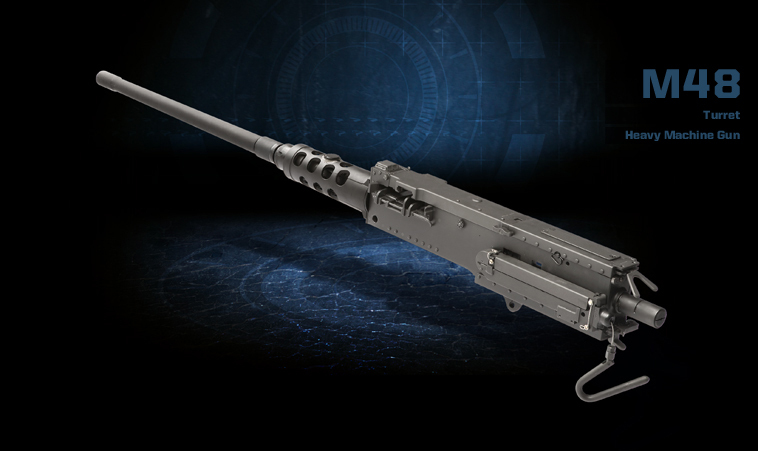 Ordnance is under a multi-year contract to supply M48 machine guns to the U.S. military.